January is usually a busy month. Back to work, back to school or back to uni brings new challenges and often, little time to take some timeout for yourself. We’ve already decided that 2017 is the year that we’re taking control, and showed you 3 Simple, Healthy Breakfast Recipes to Kickstart Your Morning, along with How To Detox Your Hair and Skin, but now we’re thinking about taking a little extra ‘me time’ with our selection of products you need for a serious chill! The first step to taking some time out is to make sure you’ve created the perfect chill environment. Whether you’re planning a relaxing candle-lit bath with some of your favourite tunes, or some time curled up on the sofa in front of the fire reading your favourite blogs, ensuring your environment is relaxing is so important. We recommend finding a space that feels, kinda cosy! Light candles, put on music, dim the lights, whatever makes you feel relaxed. What Products Do I Need To Chill? 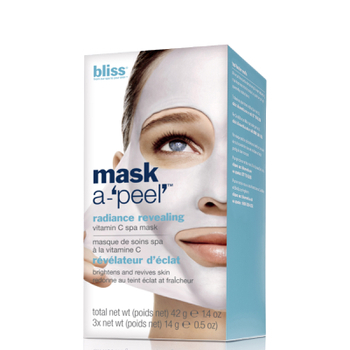 Take some timeout and give your skin an extra boost of radiance with bliss' Mask A-'Peel' Radiance Revealing Rubberising Mask. You can use this mask weekly, and it is inspired by luxurious spa facials. Sit back and relax! Pop on a lightweight hair mask, relax, and let it work it's magic. 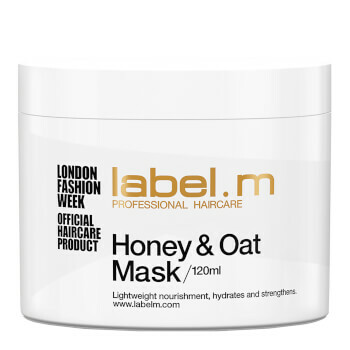 The label.m Honey and Oat Treatment Mask leaves hair feeling soft, sleek and looking radiant. You can use this mask every 3 to 4 washes, and leave it on for around 5 minutes. 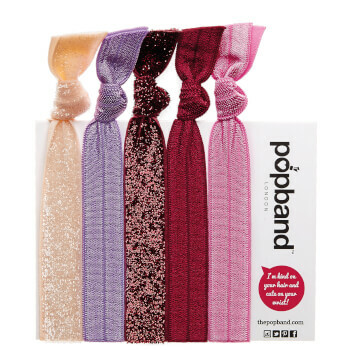 If you've decided not to go for a hair mask, throw your hair into a stylish messy bun using Popband's Winter Berry hair ties. We're obsessed with these at the moment, not only do they look cool and do the job, but they make pretty good bracelets when you're not wearing them in your hair too! Getting an early night? 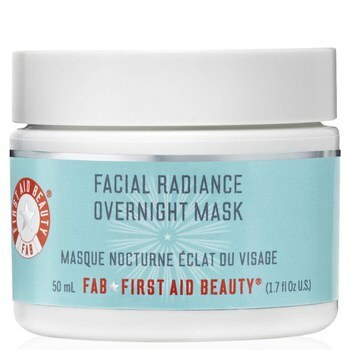 Wake up with bright, radiant skin with First Aid Beauty's Facial Radiance Overnight Mask. Smooth on at night and leave it to work it's magic. The next morning your skin will look brighter, smoother and you'll have a more even skin tone. Fancy giving yourself a mani? 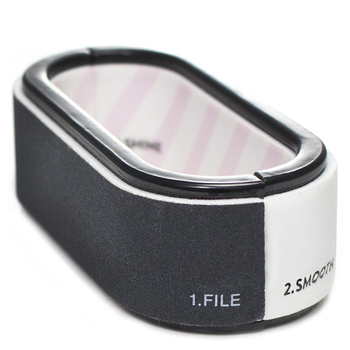 This Three Way Nail File from nails inc. features three sides, one for effortless filing, one for buffing, and another for polishing to make sure you have a mirror shine! Brighten those under-eyes with STARSKIN's Eye Catcher Smoothing Coconut Bio-Cellulose Second Skin Eye Masks. Simply place the masks under your eye area, smooth into place and wait 10-15 minutes. 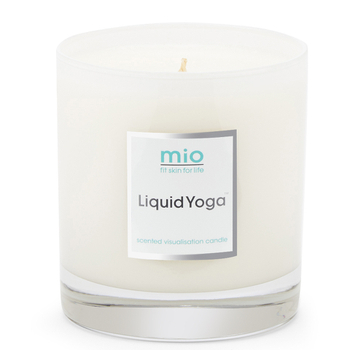 Stay calm, relax the mind and the body with Mio's Liquid Yoga Candle. After their Liquid Yoga bath soak was such a hit, they created a candle version that is just as soothing. 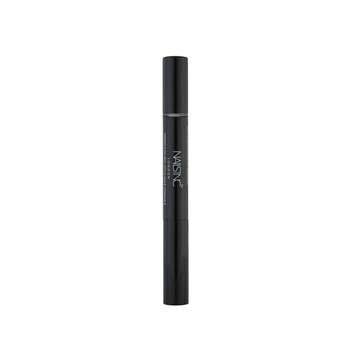 Give your cuticles some TLC with nails inc.'s Vitamin E Cuticle Oil Pen. Created to help soften and nourish rough or dry cuticles, smoothing this over your nails will take your mind of any worries you have! Have you ever seen anything so cute? 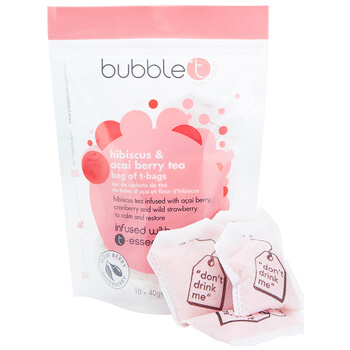 Take a long, relaxing bath with Bubble T's Hibiscus and Açai Berry Tea Bath Infusion T-Bags. Drop these into the bath and prepare to be refreshed, soothed and deeply restored. 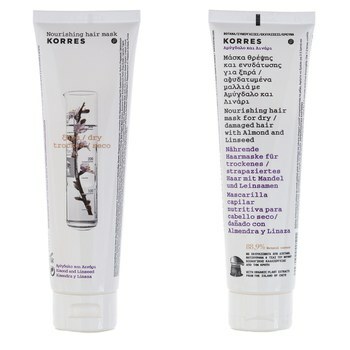 If your hair is feeling a little dry or damaged, the Korres Almond and Linseed Mask is a must. Simply apply onto damp hair after shampooing and massage into lengths, avoiding the roots. Leave on for 5 minutes and rinse though. Unwinding before bed? The This Works Deep Sleep Heavenly Candle is our go-to! Light this up and hop into a long bath for the perfect way to unwind after a long day! Finish off your perfect mani with Nailed London's Thigh High Nail Polish, the perfect berry red for Winter. How do you take time out and chill? Let us know over on Twitter and Instagram!